Thank you for contacting (mt) Media Temple! I have checked the status of the SSL installation and I can confirm it has been installed and working correctly. That being said, as this SSL was not provided by us we are unable to provide troubleshooting for any issues that arise from 3rd party SSLs. 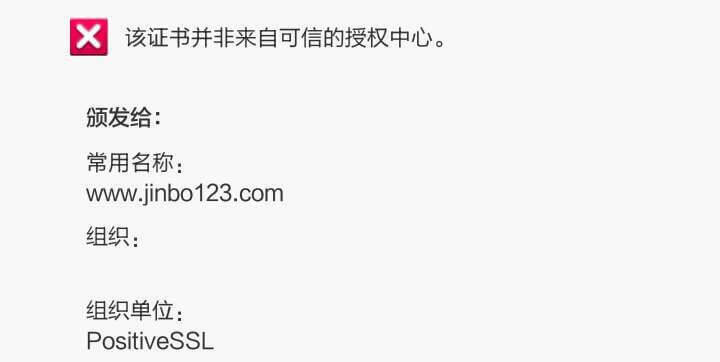 You should contact the SSL provider in regarding to this issue. As a courtesy I have done a bit of research and found that the problem may be because no Issuer Chain was provided or you did not install it. Please bring this information to your SSL provider for help on what should be done.